This oil has been used in India as a natural pest control for hundreds, or maybe it&#x27;s thousands of years- well it&#x27;s been a really long time... and it now comes ready to use in your garden! Even though it sounds like someone paid me to say that, they didn&#x27;t. I wish they would. There is nothing I hate more than creepy crawly little bugs that eat my plants. I'm sorry bug, but I hate you and I want you to go away. I don't wish death upon every bug whose path I cross, but I have been known in the past to kill many bugs, and for that I will probably be reincarnated as a bug. But these days I am just trying to get the bug to go elsewhere- go to Vegas- whatever... just get off my plant! I have been learning all about the benefits of organic insecticides that are biodegradable, safe for using on edibles, and non-harmful to pets, humans, or even to bugs. I am feeling very non-violent these days. Ohm. 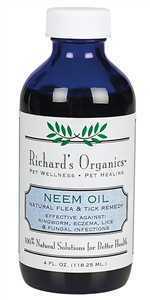 Neem Oil is one of the ways to control pests on your plants (and in your house) without busting out a can of Raid. 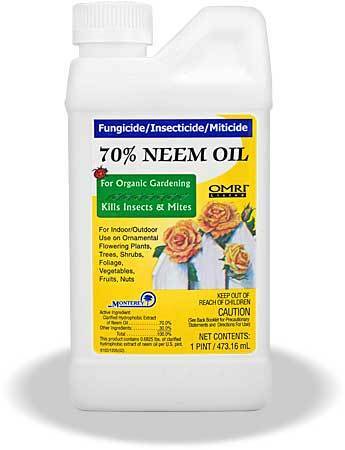 It comes directly from the natural oil from the neem tree, and is then used in a product like this that has 70% neem oil, which you then mix with water, spray on your plants until they are went and voila! A bug free plant! OK- it's not completely a non-violent spray, as it does kill mites, but really how many more mites do we need in this world? But mostly this mixture repels spider mites, the Japanese Beetle, and white fly. Be cautious when using because it really does smell bad and you can really see why these bugs get grossed out by it, so if you are using regular neem oil (mix it with water), and using it in your house- try to air out your house after use. Pew! Or you can mix it with lavender oil and it seems to take a bit of the smell away, but not much. OH! And by the way it also helps to deter fungus that can grow on your plants as well- so there ya go.